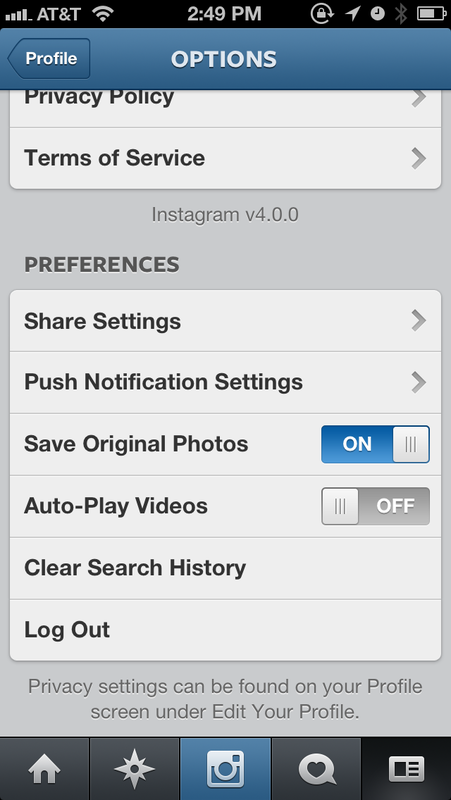 As you probably know, Instagram’s latest 4.0 update now includes the ability to share video. This basically mimics Vine’s video sharing features but with more options available. I used Vine a few time and the one thing that I found completely annoying about it was the fact that video would play on their own with no way to stop them unless you moved on to the next video or sat in-between videos. Well, with Instagram now showing videos on the main feed, videos too autoplay themselves unless you turn them off in the settings. This can be done by going into the Instagram app, heading over to your profile tab, and then hitting the settings. Scroll down and you will find the option to turn off “Auto-Play- Videos.” This makes Instagram act more like Instagram of the past and only plays video when you want it to. If you choose to leave this on, at least the videos only play once and don’t loop like they do in Vine. « Instagram Announces Video for Instagram – Available Now!